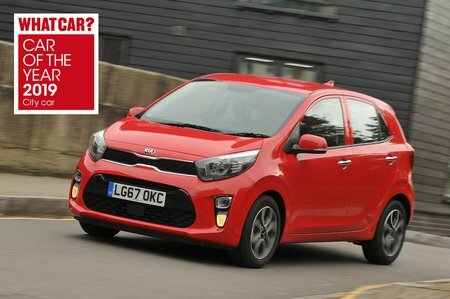 Kia Picanto Boot Space, Size, Seats | What Car? 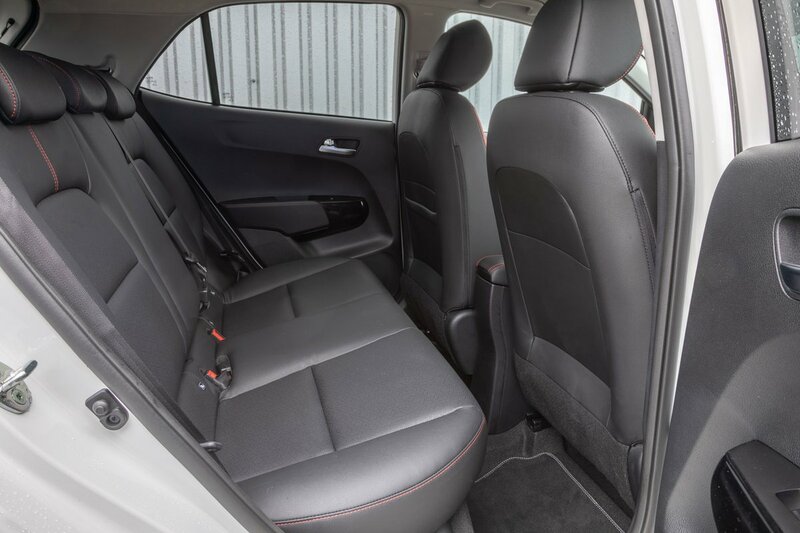 Two tall adults should find enough head and leg room to sit comfortably, and the Picanto is wide enough to ensure they won’t feel too hemmed in around the shoulders. The driver's seat slides back a little farther in the Volkswagen Up, but not by much. There's plenty of storage dotted around, including two cupholders between the front seats that are big enough for the largest of skinny mochaccinos, plus a tray for your mobile phone and front door pockets that are big enough to hold a small water bottle. You even get a sliding centre armrest – a very rare thing in this class – from 3 trim upwards. This improves comfort and also opens to reveal an extra cubby beneath. All Picantos have five doors, so getting into the back is as easy as you'd imagine. True, the door openings aren’t especially wide, but that's the case in the vast majority of city cars. While six-footers will have few complaints about head room when they get inside, they will find their knees pressed up against the front seatbacks, especially if anyone tall is sitting in front. Space is okay by the standards of the class, the Hyundai i10 is bigger and a Suzuki Ignis is vast by comparison. Sitting three adults in the back of the Picanto is a serious squeeze, but at least there are enough seatbelts to make it legal; the Up and versions of the Ignis, for example, only have belts for two. Every Picanto also has two Isofix child seat fixings in the back. While each rear door has an armrest, unfortunately neither has a proper door pocket. 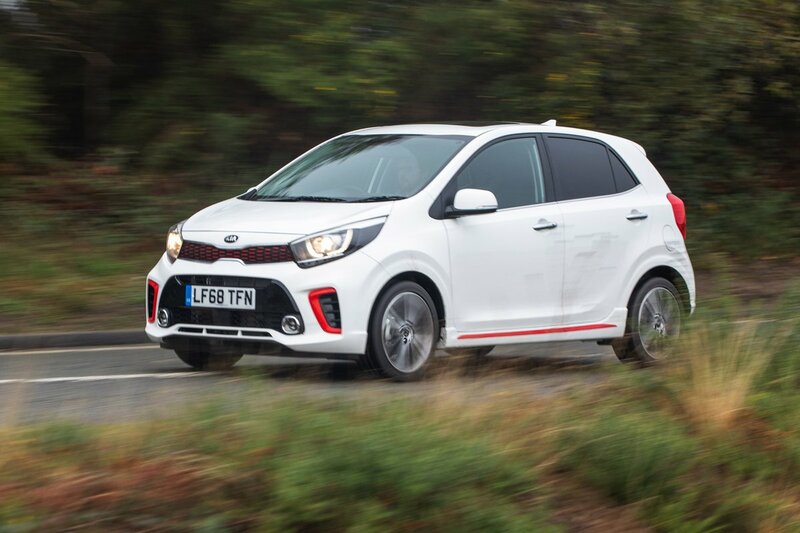 City cars don’t usually have many clever seating tricks up their sleeves, and the Picanto is no different. Its rear seatback splits in a 60/40 configuration and lays relatively flat – albeit with a large step in the extended floor – when you want to carry lots of luggage. However, there are no sliding and reclining seats like you'll find in the similarly priced Ignis and the front passenger seat isn't height-adjustable, either. The Picanto has one of the better boots in the city car class. It's bigger than an Up’s or i10’s (although still not as big as that of the Ignis) and offers more than enough space for a few large shopping bags. We managed to slot in three carry-on suitcases with some space to spare. There is an enormous lip at the boot entrance, but range-topping X-Line and GT-Line S models have a height-adjustable boot floor to help mitigate this. It's a shame that this handy feature isn't available on the cheaper trims.